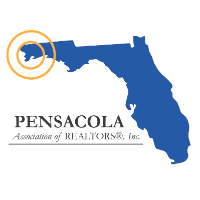 THE POINT, 732 Peakes Point Drive, is notably the finest address in the Pensacola area. One thousand feet of beachfront and a 180-degree view of both Pensacola Bay and the Intracoastal Waterway are the backdrops for this quiet, secluded spot of heaven. Sunrise to sunset, with views that thrill and then soothe. from every window the sights are a lagniappe in this comfortable and elegant residence. The residence was built using the finest materials from ground up. Cement/rebar pilings & solid cement block walls provide the foundation for a home where no expense was spared to provide safety, convenience and quality in product and artisanship. The whole house fire suppression system, whole house generator, large commercial grade elevator, and GeoThermal HVAC are some evidences of care for the long-term well being of this home. From the owner designed bronze handrails on the porches, to the handcrafted sycamore wood walls in the office and pear wood walls of the formal dining room, every aspect of this home was studied, designed and created for a simple, elegant, and always comfortable way of life. The fine work of E. F. San Juan and Markus Danneker are both represented in this home. All mouldings, doors, and woodwork of every kind are custom designed and created. Wayne Dalton garage doors, Anderson high impact windows, Spanish cedar shake exterior, custom bronze railings and copper gutters throughout are further evidences of construction made to last. The guest house, a garage apartment sits above an additional carport and two car garage. With nearly 12,000 sq ft of home, not to mention the 5,000 sq ft of porches, the saltwater pool and spa to relax in while watching sailboats or naval maneuvers, life doesnt get any better than right here..on The Point. Please take a look at the Virtual Tour video for a closer look! And if you would like additional property information, floor plans or more pictures, contact an agent for access to the property website.